As my Fulbright comes to an end, I look back at the past nine months of my life abroad with mixed feelings of nostalgia, astonishment and pride at what I have accomplished. My photos and memories of living in Toulouse, traveling to Germany, Spain and Belgium, driving through the Lower Pyrenees, and consuming more than a lifetime’s worth of cheese, wine and other French specialties remind me how wonderful my year has been. But, there is no denying that this was an odd time to live away from family and friends. The constant cacophony of troubling news (both socio-political and personal) echoing from home would beckon me back to the arms of my loved ones, so I could stand by them in solidarity. And yet, I regret none of the time I spent in France, because the distance and cultural immersion have allowed me to look at our collective issues more objectively and refueled my desire to continue trying to understand ‘the other side of the story,’ which so many of us have failed to do. 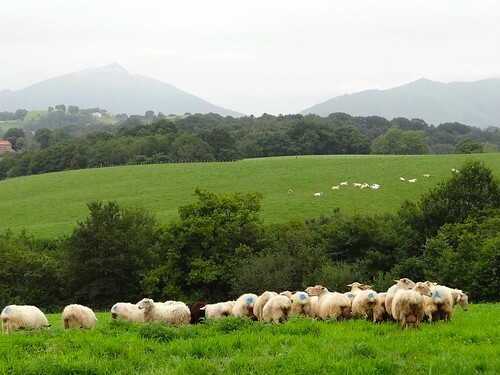 I came to France with a mission to better comprehend how the EU’s regulation on protected designations of origin (PDO) on foodstuffs impacts rural development, and why farmers would want to enter an expensive, bureaucratic venture to obtain legal protection for their local foods. I learned about this European law during my first trip to the French Basque Country, so it was only fitting that I came back here. 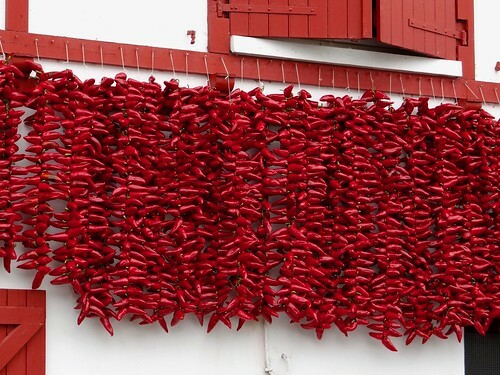 By studying the production systems of five Basque PDO products — ‘Ossau-Iraty’ cheese, ‘Irouléguy’ wine, ‘Piment d’Espelette,’ and ‘Kintoa’ pork meat and cured ham — and interviewing their producers, I have come closer to not only achieving my research objectives, but also solving the puzzle that is the complex intermingling of Basque agriculture with regional politics and heritage. 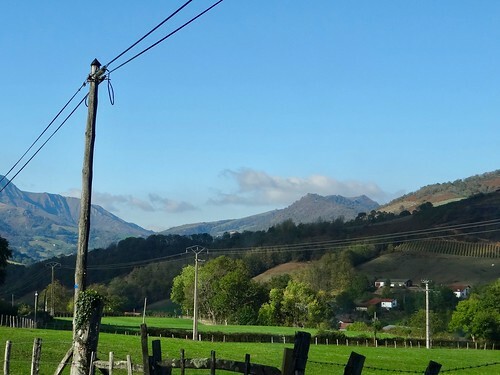 Their oft-misunderstood skepticism of outsiders makes the Basques a challenging people to get to know. I am very fortunate, however, to have met certain locals who have graciously opened up their homes and introduced me to their family members and farmer friends. In fact, some of my most successful interviews have come from these introductions. For instance, I will never forget when my friend, Lucile, introduced me to her neighbor, who taught me how to milk her sheep and later put me in touch with the boss of a dairy she works for for another compelling conversation. 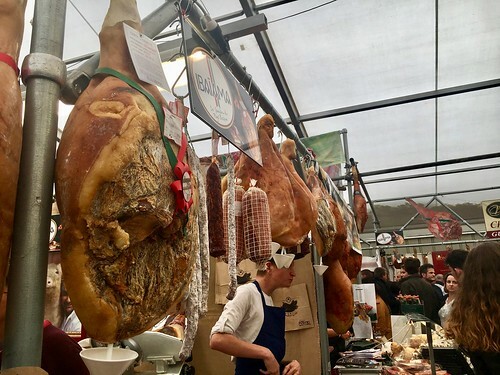 This moment, along with my visits to the farmers market in Saint-Jean-Pied-de-Port, local wineries, the Lurrama agricultural fair in Biarritz, the Bayonne ham festival, and the pepper festival in Espelette, has enhanced my knowledge of Basque culture, farming and terroir. I am thankful for the months of generosity that every producer that I’ve met, my host institution (the Rural Development unit of the French National Institute of Agronomic Research in Auzeville-Tolosane), my other research contacts, the Schuman program, the city of Toulouse, and my new (French, Basque and Fulbright) friends have shown me. My fellowship experience has only reaffirmed my value for communication, open-mindedness, travel, and the power of food. 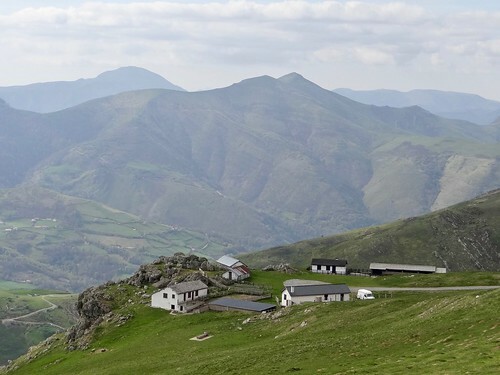 I look forward to my summer living and working on a farm-to-table establishment in the Basque Country and learning how to produce some of the PDO foods that I have been researching. As I contemplate the path of my future, I hope that I can continue giving recognition to the overlooked members of our agro-food industry.